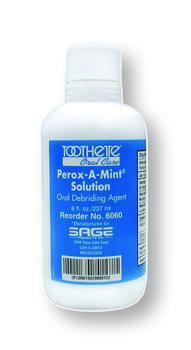 Perox-A-Mint 8 oz. Solution 1.5% Hydrogen Peroxide Solution Rinse cleans and debrides without drying. Non-alcoholic mouthwash is safe for us on tender oral tissue. Mint-flavored.